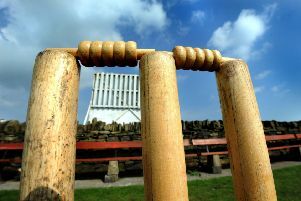 Anirudh Singh and Paul Rutherford were the leading lights with bat and ball as Ashington won another absorbing game of cricket in a nail biting finale against Lanchester at Langwell Crescent on Saturday. Singh took two wickets before stroking a match-winning unbeaten 84. Meanwhile Rutherford claimed four victims then played a crucial role in an unbroken ninth wicket stand of 35 with Singh as the pair took their side to victory. Home skipper Greg Williams had called right on the toss and asked the visitors to take first strike before matters got under way in a reduced contest of 40 overs per side following heavy overnight rain and thunderstorms. Callum Storey struck twice in his first three overs, removing Ramshaw and Patterson, both lbw victims, before Nidamanuru and Greg Halliday led a recovery. They added 39 before the former steered a ball from Singh straight to Ben O’Brien at point. Even so, Halliday was going well, and partnered by Graham Brinton, Lanchester advanced to 75 by the half way mark. In the 22nd over, Halliday hoisted Singh and was well caught inside the long on boundary by Stephen Boyd, and when Rutherford struck twice in the 29th over to remove Brinton and Reynolds, the visitors were 103-6. Rutherford tasted more success with Sanderson and Taylor being pouched by Callum Storey and Jack Jessop respectively, then after a brief flurry of runs, brilliant fielding by Jessop and O’Brien resulted in run outs for skipper McPhail and Petch with direct hits. Lanchester were bowled out for 136 from the third ball of the 39th over. Nidamanuru posed a threat when he opened the bowling and in the fifth over he removed Neil Wood leg before. Singh and Jessop took the score to 64 before Nidamanuru struck again, capturing the wicket of Jessop for 13. Next over O’Brien was trapped by Sanderson and departed without scoring, but in the 18th over, Singh completed his half century out of an Ashington score of 76-3. Lanchester got their tails up when left arm spinner Brinton sent back Daniel Grant, Boyd, Williams and Matty and Callum Storey, the brothers going in consecutive deliveries as the hosts tumbled to 102-8. Rutherford then joined Singh and the pair led the Wansbeck side home after a tense battle. On Saturday, Ashington are away to Alnmouth & Lesbury.